Microsoft Excel 2010 is more attractive in layout. However, the tools and commands are not in places where they were in 2003 versions. Many users will face problems to find out necessary commands to perform their tasks. The commands are not missing, but they are hidden. You will have to add the necessary commands to your customizable toolbar which is now called ribbon in the latest versions of the Office software. Collect the Microsoft Excel 2010 software with necessary license keys. You can buy the software disk from a software shop or you can download the software from online. After collecting the software, you should uninstall the previous version, as this is recommended. However, you can run multiple versions of office software in the same computer. To uninstall a program you should go to the control panel, then go to add/remove programs. From the program list, select the program and click on the change/remove button. The program will be removed. It is better to restart the computer after uninstalling a program. Multiple versions can be installed in the same computer. For this, you will have to follow the sequence of installation. For example, if the versions Office XP, Office 2003, and Office 2010 have to be installed in the same computer; then at first install the Office XP, then install the Office 2003, then install the Office 2010. Earlier version should be installed first. Otherwise the program will not work properly. If the system is a Terminal Server, then Microsoft does not allow to run multiple versions of MS Office. To run several versions you will have to disable the Terminal Services. If a version is uninstalled from the computer, then the program will be installed again maintaining the same order to keep the software work correctly. Some difficulties may occur in the shortcuts. Office XP, Office 2000, and Office 97 use same shortcuts. It is suggested by the Microsoft to add version numbers to the shortcuts. This will help to distinguish the versions. To know more about these procedures you can visit the Microsoft sites. As the differences between the versions 2003 and 2010 are significant, it will be better to read a guide to clarify the layout and differences of the Excel 2010. For the convenience of the users here are 5 resources which can help them to learn about the Excel 2010. The resources are, Menu-to-ribbon Guide, Mapping Workbook, Migration Guide, Switch to Excel, Upgrades’ Guide etc. Some information about the Excel 2010 has been discussed below from the Migration Guide. 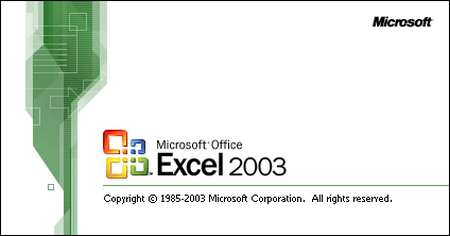 The users of Excel 2003 will obviously ask the question where the toolbar buttons and commands are. For your convenience, you can go to the File tab, then go to Help, then click on Getting Started under Support. A web page will be opened, click on the links that you want. Clicking on any 2003 command you will be able to see the exact location of the command in 2010 version. Menus and toolbars are replaced with ribbons which at the top of the program window. There are different commands and buttons organized into groups in each tab. After starting the Excel 2010 Home tab appears. Most commonly used commands are in the Home tab. New users should be attentive about the commands which are in the groups of Cells and Editing. Necessary commands for formatting columns, rows, and sheets, deleting, and inserting are there. To open, create, print, save, protect, preview, convert, or send files click on File tab. Use the Insert tab for adding Pivot Tables, charts, hyperlinks, header and footer, excel tables etc. When you will need to set page margins then go to the Page Layout tab. There you will be able to set page breaks and print area also. For finding functions, defining names, and troubleshooting formulas go to the Formulas tab. For checking spelling and revising the workbook the user should go to the Review tab. View tab is for arranging windows, switching between the worksheet views etc. You can make your tasks easier by customizing the ribbon. To do this right-click the ribbon group, then click on Customize the Ribbon. Commands can be added to the groups also. There are several add-ins in Excel 2010, just follow the guides to manage the add-ins.